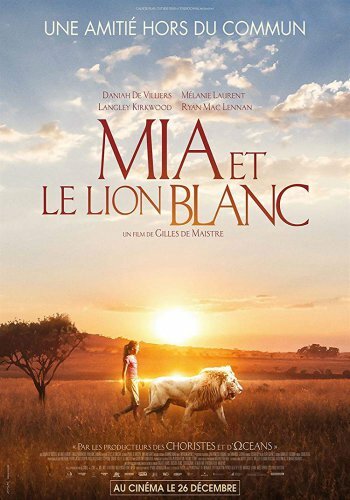 Young Mia’s life gets turned upside down when her family decides to leave London to manage a lion farm in South Africa. When a beautiful white lion named Charlie is born, the 10-year-old finds happiness once again as she develops a special bond with the growing cub. When Mia uncovers a secret that puts Charlie in danger, she sets out on an incredible journey across the wild plains to find a sanctuary for her beloved friend.